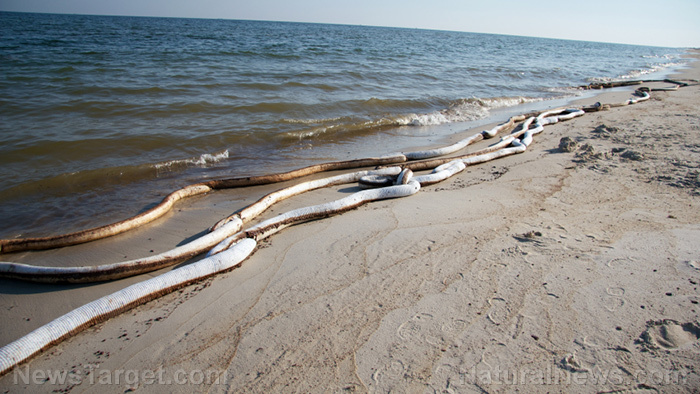 (Natural News) Cleaning up oil spills is always a dirty and dangerous job, but a new study revealed its hidden health cost. According to Environmental Health Perspectives, two of the chemical dispersants used to clear up the Deepwater Horizon disaster of 2010 have been linked to numerous health problems reported by oil spill response crews after the event. The National Institute of Environmental Health Sciences (NIH) study looked at the link between potential exposure to Corexit dispersants used during the clean-up and health complaints by oil spill workers. This is the first study to distinguish the potential health effects of dispersants from those of crude oil exposure. Previous studies lumped them all together. Furthermore, existing research on chemical dispersants focused on their effect on marine species instead of humans. The Deepwater Horizon oil spill is the biggest disaster of its kind in U.S. history. Cleaning it up required around 1.8 million gallons of Corexit dispersants, as well as other oil spill mitigation techniques. Oil dispersants reduce the surface tension that prevents oil and water from mixing together. Their surfactant action allows large oil slicks to be broken down into much smaller groups that can be scattered by wind and wave action. These chemicals first saw use in the 1960s. But even the Exxon Valdez oil spill of 1989 did not require the massive amount of dispersants employed during the Deepwater Horizon oil spill. “It is important to understand the potential toxicity of any chemical released in such large volumes to which workers or the public may be exposed,” explained environmental toxicologist Bernard Goldstein, who studied the potential ill effects of chemical dispersants on human health. The NIH study conducted a telephone survey of at least 27,659 workers from 2011 to 2013. The participants belonged to an active study of long-term health outcomes for Deepwater Horizon clean-up crews. According to the researchers, workers with potential exposures to chemical dispersants showed higher likelihood of reporting negative symptoms during the clean-up. They found a weaker link between potential chemical exposure and symptoms that took place months after the event. “It was reassuring that many of those who reported symptoms during the spill no longer had them one to three years later,” remarked Dale Sandler, the leader of the NIH research team. “We were surprised to see that some of the workers who were exposed to oil dispersants and did not report having symptoms while they were working on the cleanup reported having them when they enrolled in the study,” she added. According to Sandler, this result could be attributed to people being more able to report accurately on what they are currently feeling compared to recalling what they experienced in the past. She also theorized that part of the link between dispersant exposure and current symptoms can be traced to people over-reporting their symptoms. Furthermore, she said that the effect of the symptoms on long-term health are still unknown. “We do not yet know whether exposures during the oil spill will be associated with clinical disease down the road,” she noted. Keep abreast on oil pollution-related news at Pollution.news.